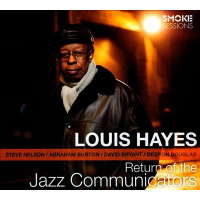 As the story goes, the original Jazz Communicators were formed back in 1967 when Hayes put together a group featuring Freddie Hubbard, Joe Henderson, and Kenny Barron. 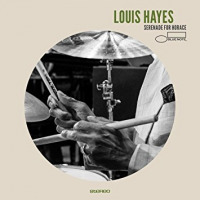 This new edition was formed out of Hayes' desire to use the vibes in a quintet setting. It is fabulous to hear Steve Nelson in this ensemble, being that his recorded appearances are rare these days. A veteran of other Hayes ensembles over the years and another gifted musician we hear from too rarely, Abraham Burton first made a name for himself playing alto with Art Taylor back in the '90s. Lately, he's been heard on tenor and the tart sound he used to get on the smaller horn transfers exceedingly well to the bigger horn. 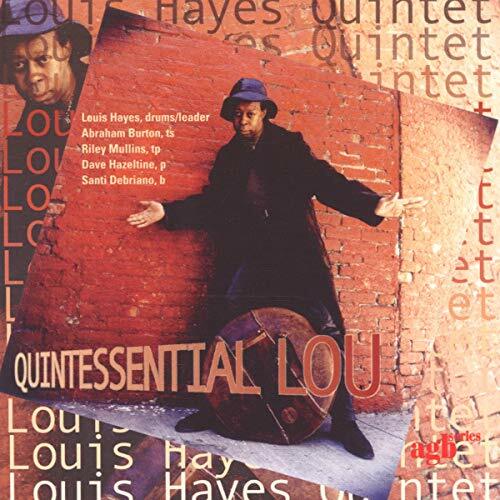 The set kicks off with Mulgrew Miller's classic vibe tune, "Soul-Leo" and everyone seems to be inspired by a form that shifts between a straight eight feel for the verses and a bridge that goes into swing. That inspiration is also to be heard on the ballad numbers that feature both Nelson and Burton, the former on a classy rendering of "Lush Life" and the latter on a commanding version of "A Portrait of Jenny." The more upbeat numbers, like "Shape Shifting," "Simple Pleasures," and "Village Greene" hit a synergistic highpoint with Hayes at the helm, his large cymbal beat and crackling snare at the center of the vortex. It's also worth noting how Hayes interjects his comments within the context of the melody on the Ernie Wilkins chestnut "Groovin' for Nat." Never too flashy, Hayes has honed his fills to the highest sense of musicality, and it's this supportive role that makes him one of the drum legends. Over the course of the album's generous selection of twelve tracks, the contributions of pianist David Bryant and bassist Dezron Douglas are not to be underestimated. Bryant knows how to play with a vibraphonist, never getting in the way, but complementing what is happening chordally. As for Douglas, his solos are few, but he makes each one of them count. 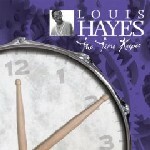 Although Hayes has made many albums over the years as a leader, this one securely holds a place as one of his best. The live setting inspires his musical muse and his drums have never sounded better. Track Listing: Soul-Leo: Shape Shifting; Lush Life; Groovin' for Nat; It's to You; Without a Song; Simple Pleasures; Vagabond Ron, Portrait of Jenny; Lou's Idea; Village Greene. 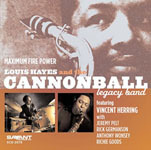 Personnel: Abraham Burton: tenor sax; Steve Nelson: vibes; David Bryant: piano; Dezron Douglas: bass; Louis Hayes: drums.